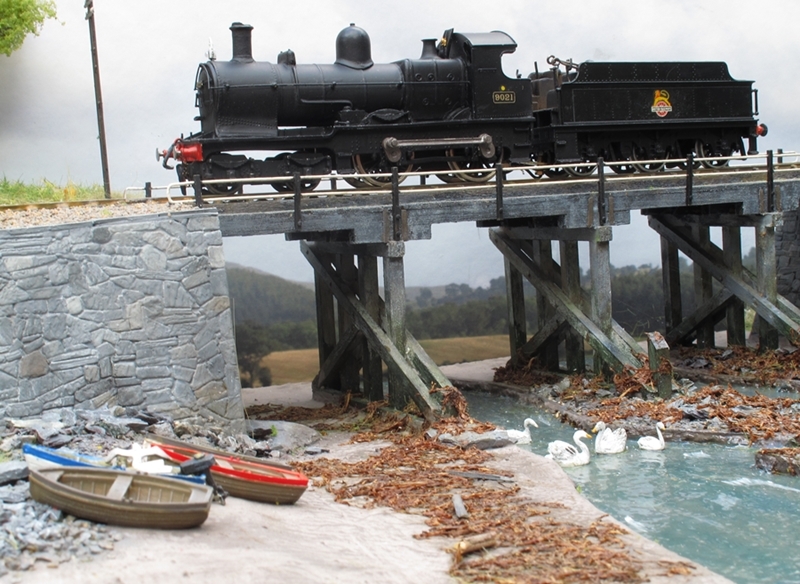 Work continues on my 7mm narrow gauge stuff even though I do not have a layout to run it on! Back on the workbench with the Bagnall type freelance loco. It has now been painted a shade of "garden green" and black. Almost complete it just needs crew, coal and name and makers plates to complete. The coach is the first of a proposed pair. 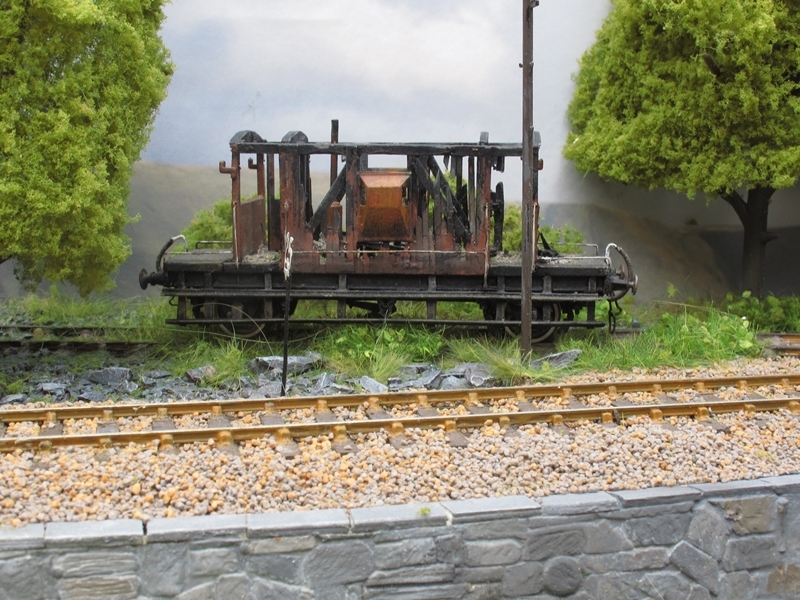 This one being another freelance type design but with the influence of some of the open coaches on the Vale of Rheidol railway. The coach still needs work, door handles, brake pipes, and observation end coupling for starters. One day (he says hopefully!) 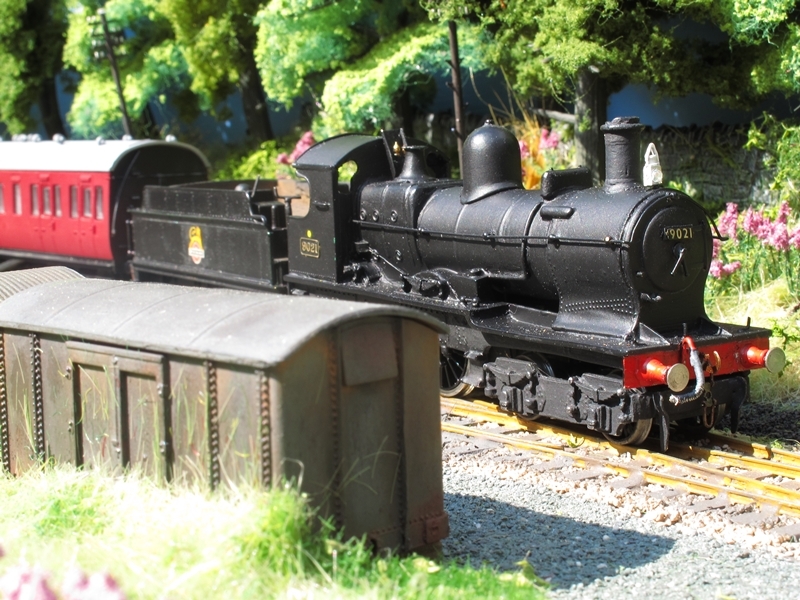 I might get around to erecting some sort of 16.5mm track around the rear garden to play trains on a nice summer afternoon. Does anyone know which DAY Summer falls on this year? 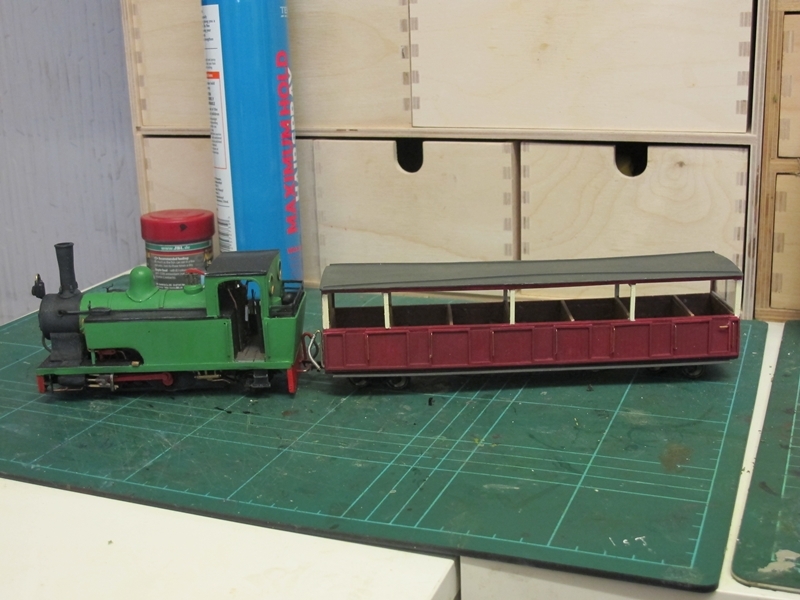 The latest "creative bodge" to grace my workbench is this scratch built narrow gauge coach. Built almost entirely of styrene sheets it is now just awaiting some door handles and grab rails before being painted in crimson and cream. 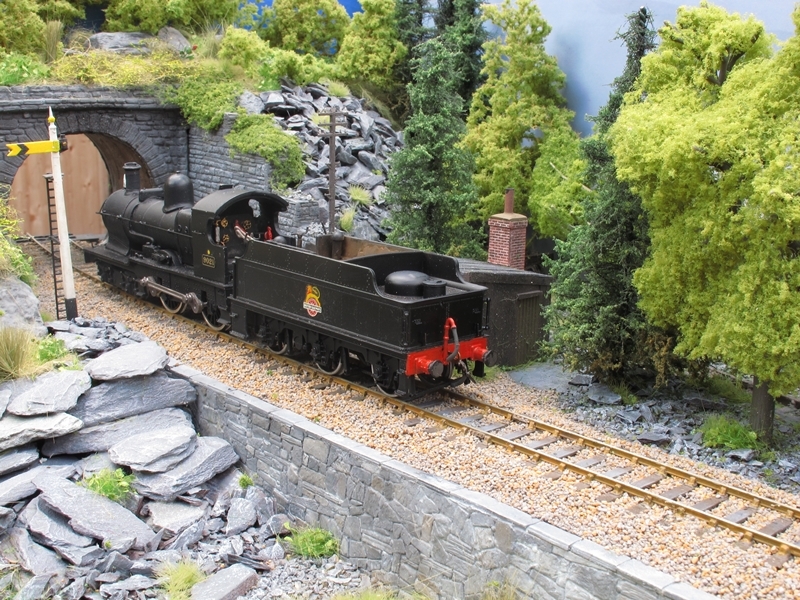 The coach rides on a pair of old Lima 00 gauge diamond frame bogies with some decent plain disc wheels fitted. The only other metal parts are the truss rods and full length step boards. The design is loosely based on the WHR "Summer" coaches with an observation window at one end. I need to build another coach of some description with a guard/luggage/brake compartment. I have found a suitable design all I need is more modelling time! 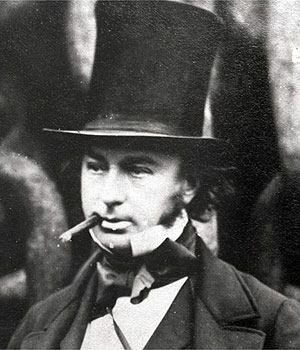 Just taking a short break from railway modelling here for a day to post this tribute to probably the world's most talented engineer Isombard Kingdom Brunel. He would have been 207 years old today! I haven't updated this blog for quite a while, the truth is though that I haven't done that much worth writing about! 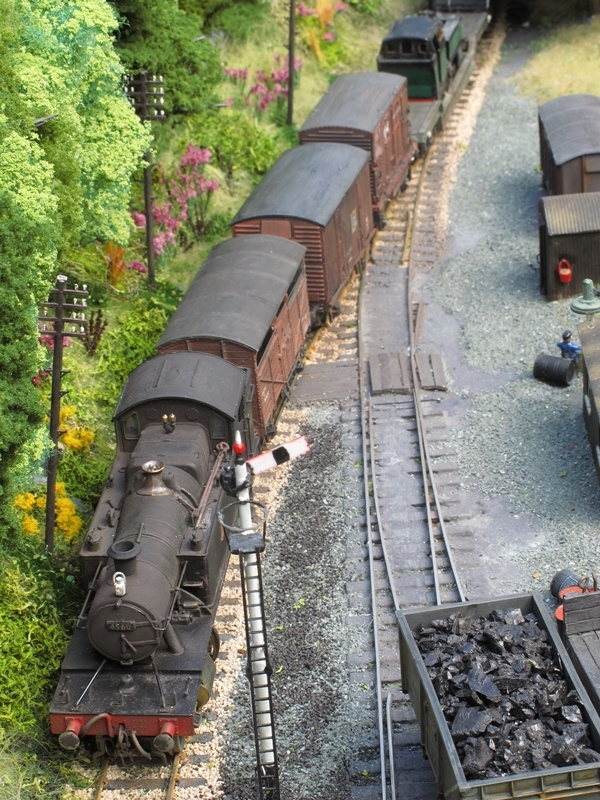 However, as I now have a deadline to meet for the layouts first show at Telford in September I had better get my finger out and do something. So, today I spent a few hours at the bench making some weeds and trees to go with the ones already done. The weeds are mostly Rosebay willow herb and docks. The group on the left are Dock whilst the group on the right are Rosebay willow herb. The batch in the middle will end up either as Rosebay Willow Herb OR maybe Evening primrose. 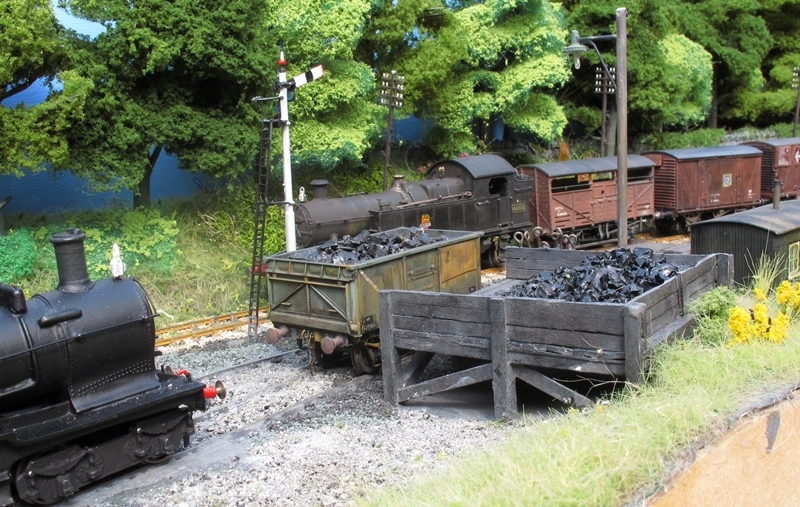 It's surprising just how many of these things you need to populate even a small layout. I must have done at least 30 or 40 already and they look lost in the landscape. So more sessions are needed to fill the embankments on Penmaenpool! BTW I use 5 or 10 amp fusewire for the stalks, painted green. The Docks are simply made by dipping the freshly painted wire into the contents of an unused tea bag, I use PG tips but I suppose any brand would do! The Rosebay needs two stages. Stage 1 involves painting the wire and dipping it into a tub of static grass, this gives us the "Hairy stems" once dry PVA is applied to the tips and the plant is dipped in a mauve coloured sawdust type scatter. 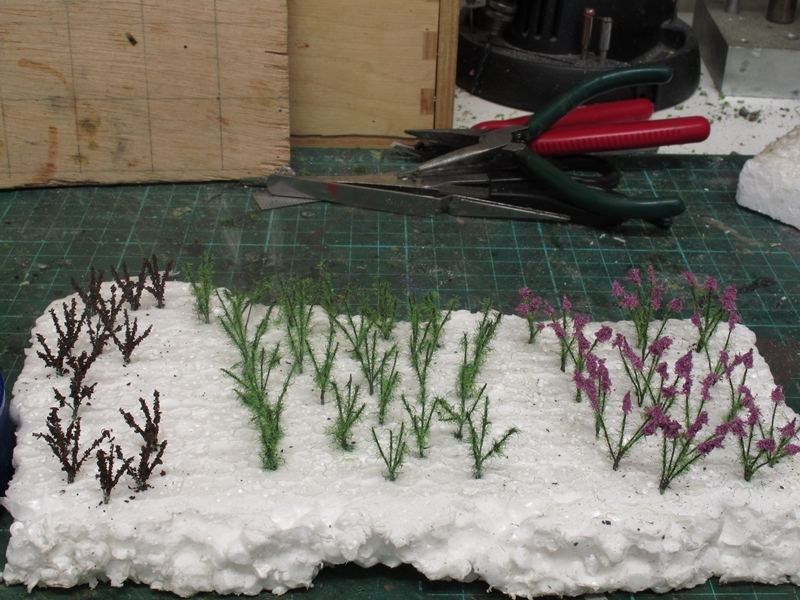 (yellow for evening primrose) once dry they are ready for planting on the layout. 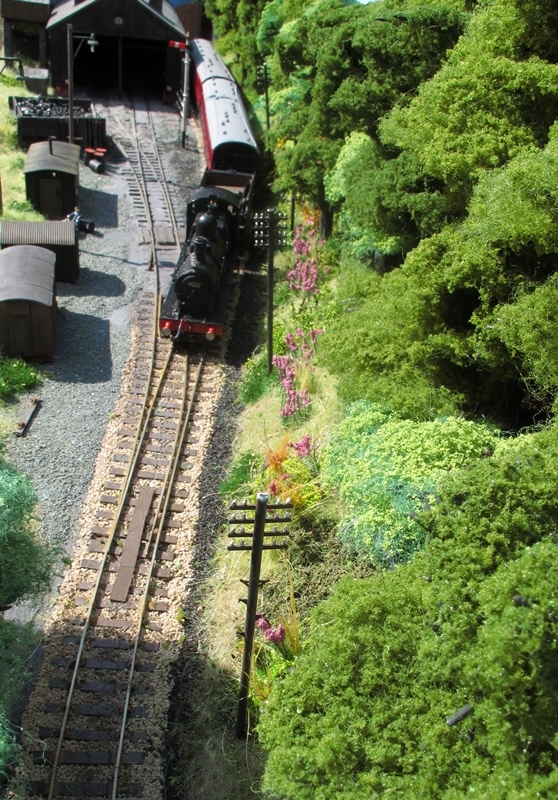 I still need quite a few more trees for the back of the layout. So again today I made up another 3. 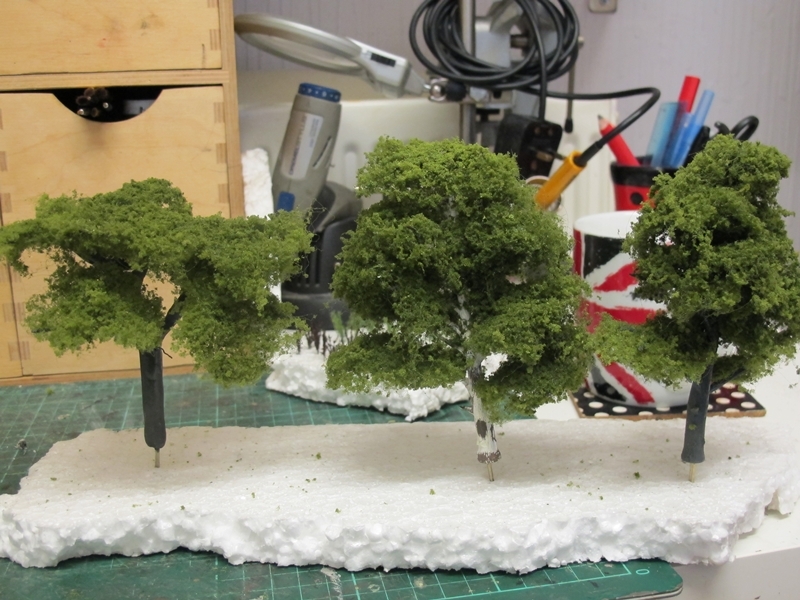 The two trees on the right are made up from Woodland Scenics tree armature kits. They come "Flat" and have to be bent from a two dimensional sprue to a 3D shape. Not as difficult as it sounds. I always paint the trunks and branches just to get rid of that "plastic look". I use Humbrol enamels in shades of grey for this. The tree on the left is home made from copper wire smothered in Milliput to form the trunk and branches, a lot cheaper than the woodland scenics armatures but takes three times longer to make. All the trees shown here use Wooland Scenics foliage mats to form the canopy but I have also used some Greenscene" material just to vary the shades of green a bit. So, as you can see, SOME progress is being made albeit slowly. As soon as the decent weather starts (If ever!) I can get out and butcher some more wood for the backscene, Legs, second fiddle yard and canopy/ picture frame fronts. If any more gets done I'll update this thread again.